There is a wreck on the Shawmut. After the Pittsburgh Flyer passes Kessler Jct. the Shawmut crew will use BR&P tracks to detour around it. Come on guys, Post some pictures. I would hate to see Johnboy pull this feature because of a lack of interest. 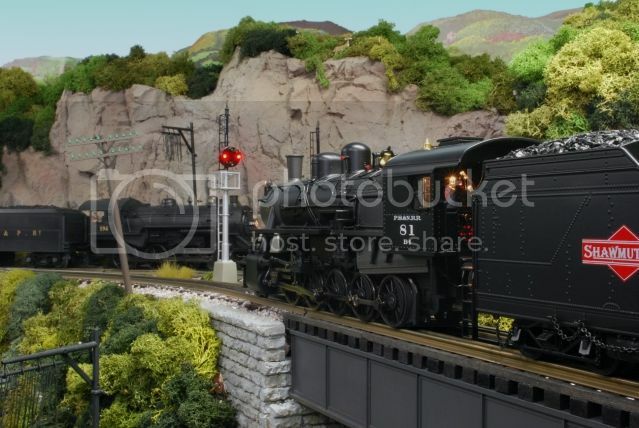 The BR&P was an exceptionally well maintained railroad. The maintenance department just finished putting on a fresh coat of paint. Have a nice end of day Rich.